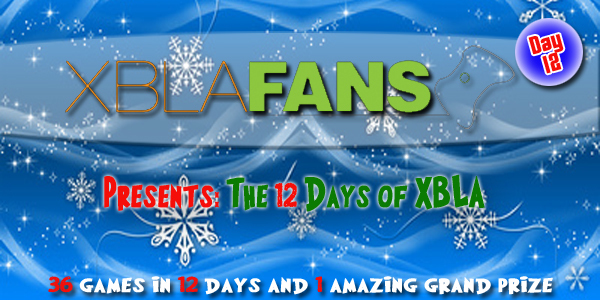 XBLA Primer: What is MOBA? While everyone knows what strategy games are, and role playing games, and massively multiplayer online games somehow the multiplayer online battle arena genre remains confusing and mysterious. Perhaps this is because, despite being a combination of strategy, RPG and MMO (aka SRPGMMO, but nobody liked that acronym) being something everyone can understand, it in no way adds up to MOBA. However, like every other genre, MOBA is branching out, growing and adding elements from other beloved genres, so before things get out of hand let us explain what MOBA is. 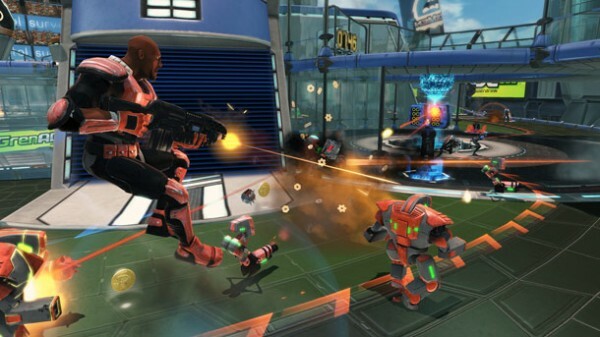 The Multiplayer Online Battle Arena genre is a micro-MMORPG experience with strategical elements surrounding it, hence the combination of the three. MOBA combines some of the key features of each genre, and bakes a peculiarly delicious cake. First and foremost, however, MOBA games are team-oriented, with one team competing against one other team. Each team has a core (or something like one) which they must protect. If their core is destroyed, they lose. In all MOBA games there are a selection of characters who have unique abilities to form their gameplay styles. Each character has a specific set of skills, sometimes with what’s known as an “ultimate”, that improve as the game progresses. Not every MOBA works the same way, but most of them use a currency and experience method to progress characters via skill increases, much like an RPG. While experience is used for skill upgrades, currency is used to buy items from the shop. Again, the experience and currency mechanics are the most subject to changes from game to game, but that’s the gist of it. Skill increases tend to change a way a skill behaves or increase its potency, while items purchased from the shops increase base attributes (like damage, defense or speed) or have “active” uses, almost like an additional skill. Okay, enough RPG elements, next up is the strategy. A lot happens in a MOBA, and while the character part is super important, there are many map-based elements that must be paid attention to. Each map is often laid out in what are known as “lanes” in a symmetrical setup. Each side of the map is owned by one of the two teams with lanes leading up to their base. The lanes are dotted with towers for base defense. The towers are sort of milestones, and must be destroyed for the tower behind them, and eventually the base, to be vulnerable. Destroy the core in the enemy’s base to win. While destroying the towers is important, characters usually can’t just run up to the tower and destroy it because the towers are very powerful. As such, each team has minions which are sent at regular intervals to attack the enemy’s base. They fight with other minions to “push” their way into the enemy’s base, attacking towers along the way. Killing the enemy minions gets your minions to the tower so you can attack it while the tower deals with the minions. Remember that to progress, you have to accrue money and experience (usually). In many MOBAs, experience is gained by being in proximity to enemy minions as they die, along with enemy characters. To get money, the mechanic of “last hitting” is implemented. The idea is simple, deal the killing blow to a minion to get money for it as well as experience. There are minions, towers and other characters to compete with here, so gaining money efficiently is regarded as an incredibly important skill. Well what does this mean for XBLA? 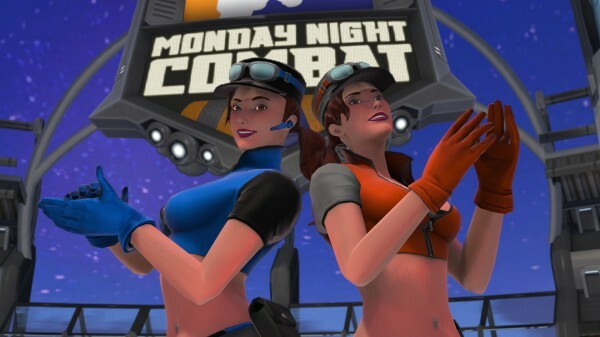 A year ago XBLA was graced with Monday Night Combat’s presence. As we said, every MOBA is different, especially here on XBLA. In Monday Night Combat, the presence of towers is, in some ways, controlled by the players. Players gain money by killing minions just like normal, but instead of getting experience they also use that money for skill upgrades. Players can purchase their own special minions to help push their opponents. Without their minions bringing down the shield on the core, or Moneyball, your team cannot damage your enemy team’s moneyball. Oh, it’s also a third person shooter on top of all this. 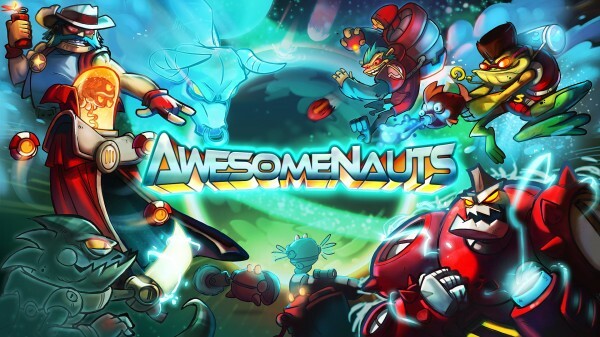 Upcoming game Awesomenauts also removes experience and instead has money be centric to the purchasing and upgrading system. 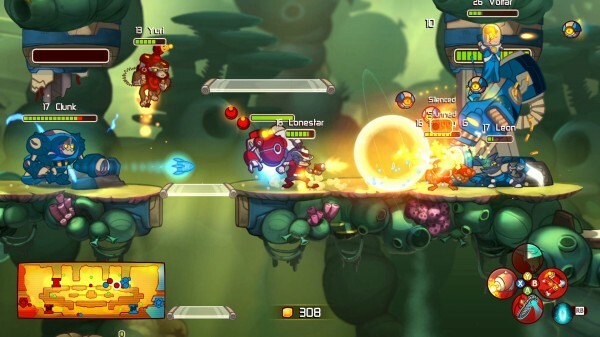 However, this change is only a minor one, more importantly Awesomenauts is 2D. As such, all of the lanes, towers and etc. are vertically oriented and platforming is the key to performance. Collecting money in Awesomenauts also leads to leveling up (your level is your accrued gold divided by 100) and is used to purchase various upgrades. Awesomenauts’ store system innovates as well, allowing players to choose from 24 upgrades which 12 will be in their shop, then purchase them in any order they see fit. The Multiplayer Online Battle Arena genre is, well, complicated. It’s important to focus on the minions, towers and strategy of MOBA games, and even in Monday Night Combat, which is more combat oriented due to it being a third person shooter, that is the key to victory. The fun still lies in really getting into your character, exploring the depths of their abilities and how playing them can change with shop items. While there’s a lot to learn in the world of MOBA, the rewards of acquiring the game are almost endless- all the fun and reward of hitting max level in an MMO, customization of an RPG and intense cerebral combat of combining action and strategy. As for which MOBA games to try, Defense of the Ancients‘ a bit old but DotA 2 is on the way out! League of Legends is super popular, Monday Night Combat has been out for a while on XBLA, and Awesomenauts is on its way out on May 2nd for 800 MSP. Try them all, see which you like best!